On Wednesday night, the Puslinch Kodiaks traveller to Glen Williams for their first rain out make-up game of the year. David Jefferson took to the mound for the Kodiaks, and matched Glen Williams with shutting out the Ale Stars through the first two innings. In the top of the third, Matt Haines hit a two out triple, and would later score on a single by Brian Jefferson. Unfortunately the Glen Williams team answered in the bottom half with three of their own runs. 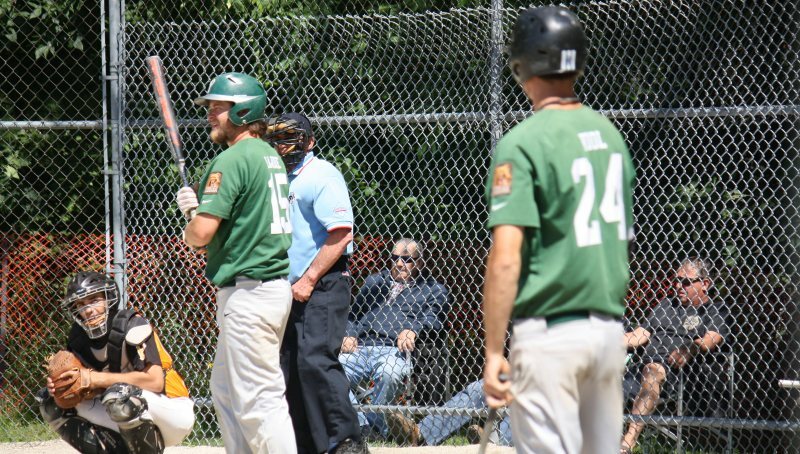 The Kodiaks would answer with one more to brig the score to 3-2 in the top of the fourth, but couldn’t hold Glen Williams in the bottom half of the fourth as they put up another 4 runs to take a 7-2 lead. Scott Gordon would come into relief from that point on and hold Glen Williams into the 7th inning. In the top of the 7th, with the Kodiaks facing a 7-4 deficit, they rallied to put up four runs, and managed to come back and take a late lead at 8-7. In the bottom of the 7th, Gordon gave up a walk and single before intentionally walking the next batter after a passed ball to load up the bases. Unfortunately the a Kodiaks couldn’t generate the ground ball they were hoping for, as the next batter lined a ball to the outfield, and cashed in the tying and winning run. The final score resulted in a 9-8 loss for the Kodiaks. Puslinch has one more rain out game to be played, and it will take place on Tuesday, August 8th, at the Aberfoyle Community Centre, starting at 8:30. It will likely be Puslinch’s last home game except for exhibition games before their year end tournament.